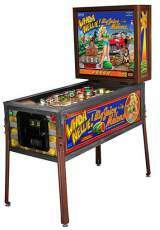 A Coin-op Pinball by Stern Pinball, Inc.
Whoa Nellie! Big Juicy Melons © 201? Stern Pinball, Inc.